The Max Planck Institute for Mathematics announces the launch of the Hirzebruch Collection, a media archive that collects documents, images, videos, and other resources related to the work and life of its founding director Prof. Dr. Friedrich Hirzebruch (1927-2012). 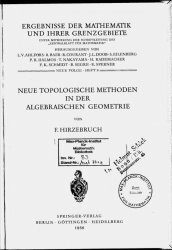 His work largely influenced the development of modern mathematics and through his personal efforts and achievements he contributed in an essential way to the reconstruction of mathematics research in Germany after World War II. The collection will be an ongoing process. Contributions of original documents such as personal photographs or video recordings of talks are welcome. The Hirzebruch Collection is available at https://hirzebruch.mpim-bonn.mpg.de/.